Kogan has announced the launch of its new SmarterHome range and app. A pair of Kogan SmartHome panel heaters will kick-start the sub-brand, with smart plugs, bulbs, portable air conditioners and more due to follow throughout 2018. The entire range will be controlled via the free Logan SmarterHome app, which promises to give Australians more control over their homes and energy bills. “Today’s launch is just the beginning,” said Sergiy Bobrovnychyy, Kogan.com Director of Exclusive Brands. “There’s no point having cool technology if its a pain in the neck to use, Out SmarterHome range is smarter, easier and better value. This is all part of our mission to make the most in-demand products and services more affordable for all Australians,” added Bobrovnychyy. The new Kogan SmarterHome app allows customers to control any product from the range directly from their smartphone, even non-smart devices can be controlled through the SmarterHome plugs. Customers can set their heater or air conditioning to automatically turn on or off at specific times of the day of when temperatures reach a certain level. Advanced control is a game changer for every efficiency and comfort. SmarterHome app users can select the “Back Home” feature, which is completely customisable, to do things automatically life turn on lights, turn on the air conditioner and switch on a non-smart pedestal fan. Throughout the day, users can change the mood in any room with multiple light settings. Customers are in control of their energy consumption, with visibility of how much is used by day and month. 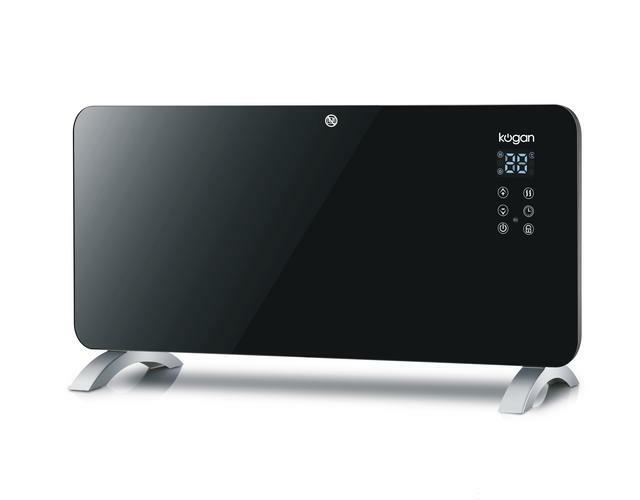 The Kogan SmarterHome 1500W Panel Heater is on limited time pre-sale for $99, and the Kogan SmarterHome 2000W Panel Heater is only $129 from kogan.com. The Kogan SmarterHome App is available for free on iOS and Android.